The sustainability is essential for us. 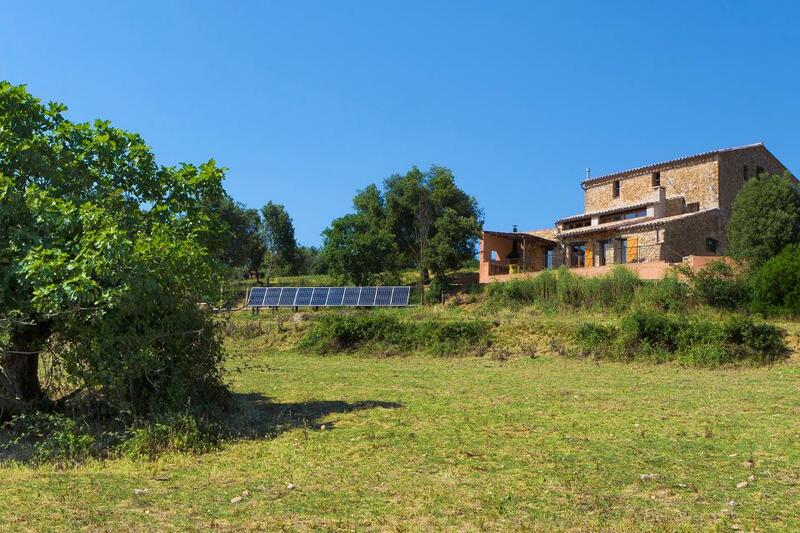 The energy that we use comes from renewable sources: photovoltaic, thermal and biomass. Moreover, all the house is equipped with energy-saving electrical appliances and accessories. 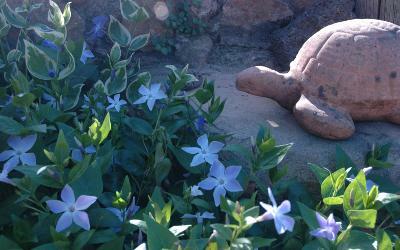 Do you want to try an ecologic stay? 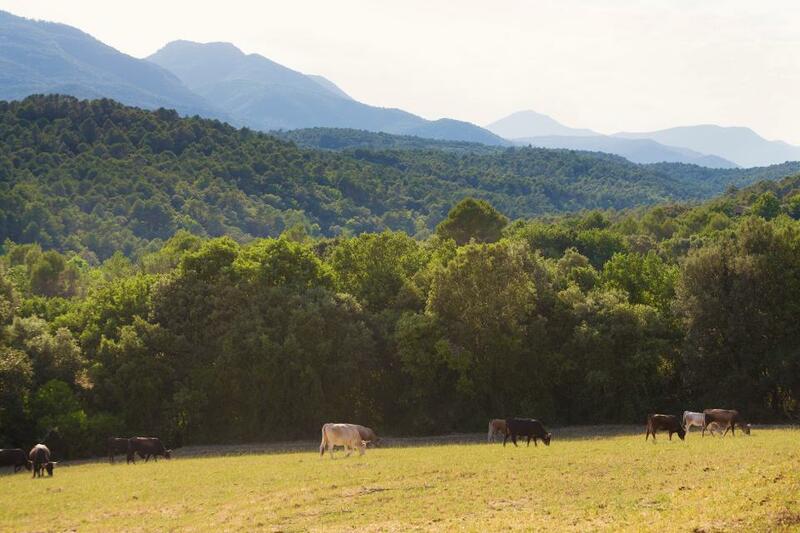 We work on the landscape, which is formed by a mosaic of fields, Mediterranean forests and olive fields, where pasture indigenous ponies and cows. We make an effort to maintain the forest well managed and in good ecological conditions. We are surrounded by an exuberant nature. 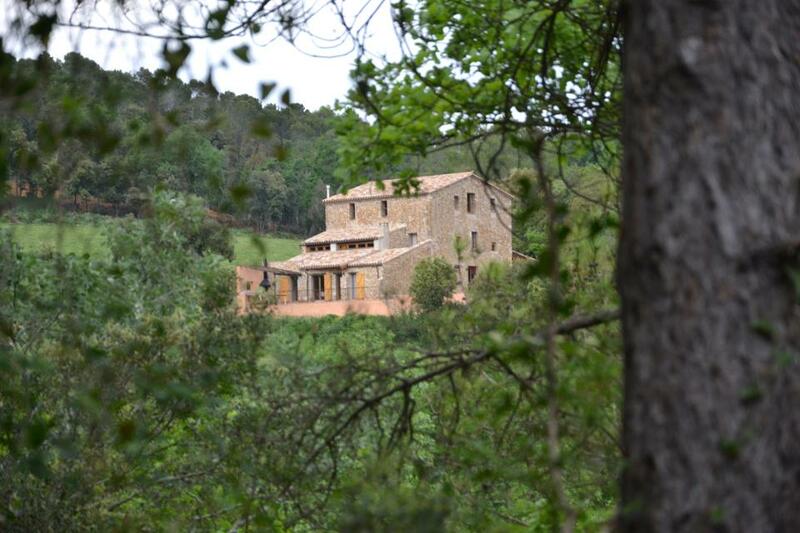 The Garrotxes d’Empordà are lands with an unique landscape, rural and wild, between the Alt Empordà and the Alta Garrotxa regions. Lands where you’ll discover crystalline water rivers, forests and mountains with spectacular views and villages full of History. The house has the perfect size for families. We can provide you a cot, a high chair, and other baby accessories. 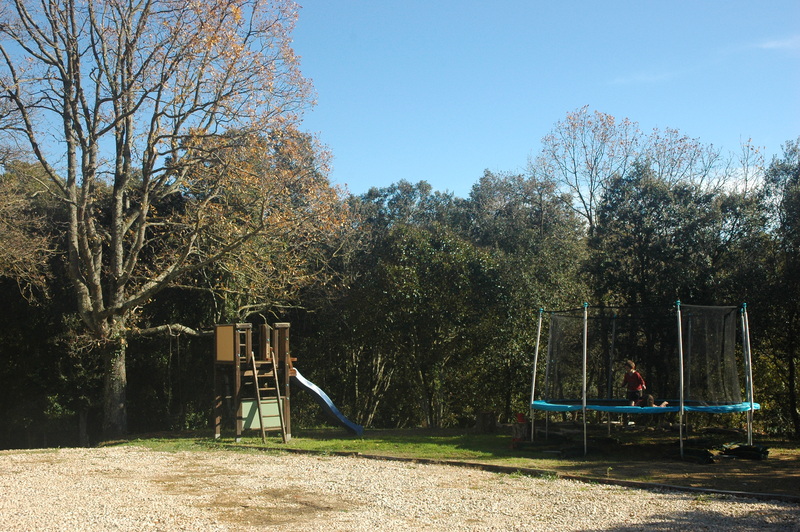 The garden, the natural surrounding and the animal proximity offer infinite game possibilities and discoveries. Kids won’t forget the Masoveria de Lladó! Une semaine fantastique! Nous avons pu visiter un peu la région et ses magnifiques plages, et nous avons beaucoup apprécié les promenades en forêt. 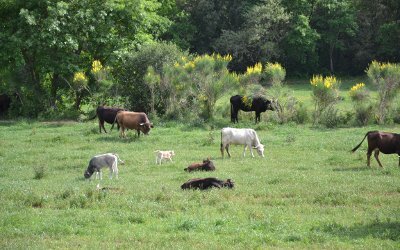 Les enfants ont fait cabanes et ils ont beaucoup aimé voir les vaches de si près. Nous venons à peine de rentrer et ils veulent déjà y retourner! Un cap de setmana genial! Amb els amics hem fet barbacoes i jocs de taula en aquesta súper sala menjador que fa molta enveja. El que més ens ha agradat és poder sortir d’excursió caminant des de la casa. 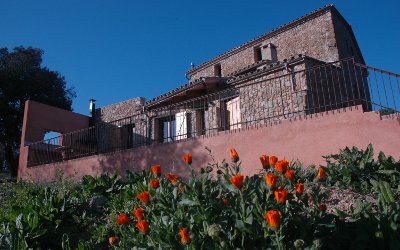 Pujar a la Mare de Déu del Mont ha sigut la gran aventura del cap de setmana. A very charming house and a perfect placing! We’ve been in the most wonderful beaches never seen on sunny and hot days, but in just one week, we also had time to go climbing to the Pyrenees and that was a life experience! En ocasiones la vida nos descubre placeres que tenemos al alcance de la mano: la Masoveria de Lladó. 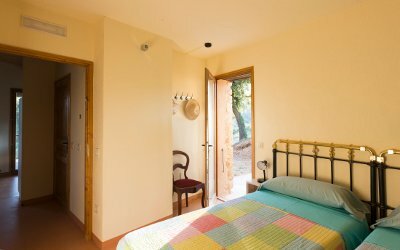 Una apacible casa de turismo rural, enclavada en el Ampurdán más auténtico, en la que la tranquilidad y el contacto con la naturaleza alcanzan su máximo valor. Hemos pasado unos inolvidables días en verano y nos hemos propuesto disfrutarla en todas las ocasiones del año. Book directly here and save commissions!